There is not a whole lot I can add to today’s blogosphere that hasn’t already been said. 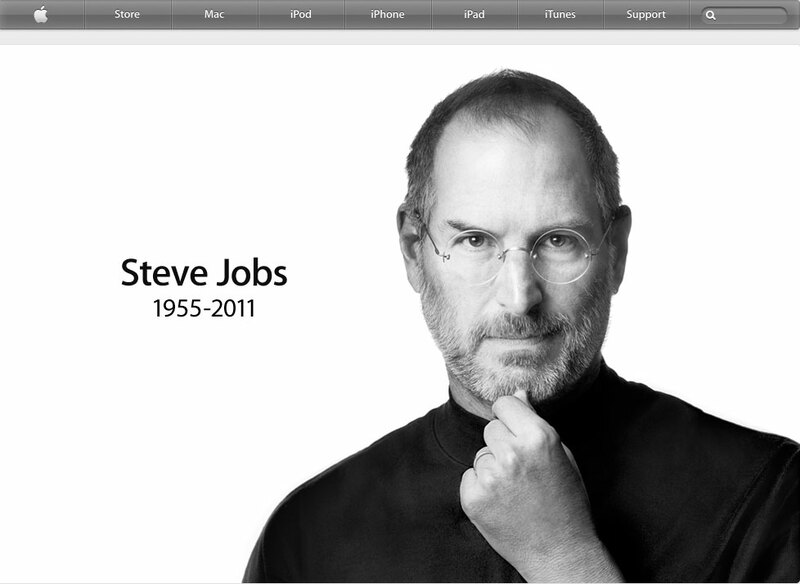 We will miss you Steve, and the world is richer from your contributions. Thank you for being different. Thanks you for being easier to use. More elegant. More intuitive. Thank you for not allowing a poor product to see the light of day (ok, Newton was an idea ahead of the technology at the time), and for redoing it over and over again until it was right. My own livelihood as a graphic designer is completely reliant on the hardware that you pioneered, and you revolutionized the design and publishing industry. You revolutionized home computing. You revolutionized the music industry. You revolutionized the cell phone industry. You revolutionized computer animation. There is little in our world today that hasn’t been influenced in some small degree by the contributions of Apple–whether it be the products themselves or the people-centric industrial design an user-interfaces they inspired. You made the complex simple, and beautiful. So again, Steve, thank you for going that extra mile for the rest of us. The world will miss you, but never forget you. This entry was posted on October 6, 2011 at 1:44 pm and is filed under culture, design, graphic design, history, life, music, printing, tech, Typography with tags apple, culture, design, life, technology, Typography. You can follow any responses to this entry through the RSS 2.0 feed. You can leave a response, or trackback from your own site.